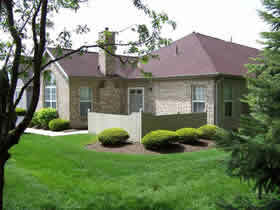 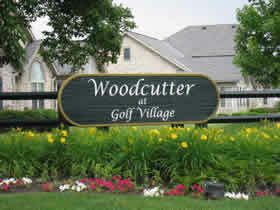 The Villas at Woodcutter is located in Powell, a suburb of Columbus, Ohio. 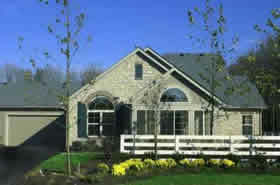 All homes have brick and wood or stone and wood exteriors. 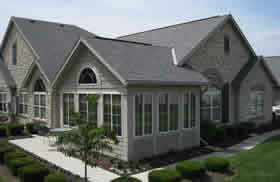 Built in 2004, you will find the 1-story Villa, Abbey and Canterbury floor plans in addition to the 2-story Chateau floor plan. 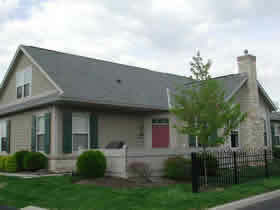 All floor plans offer a 2 car garage with pull down stairs to attic storage, first floor laundry and garden style patio with privacy fence or sunroom. 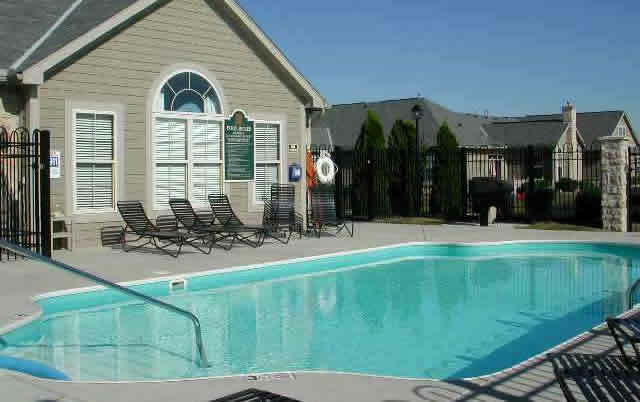 The lovely clubhouse offers a gathering room, kitchen, fitness center and an outdoor swimming pool. 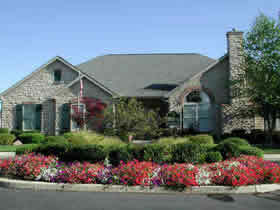 Why not join the fun and let someone else plant the flowers and mow the grass!